A microbrewery is usually a pub which brews its own beer, often only a few varieties and in limited quantities. Often such places are known for their few boutique varieties of beer. The concept started from London in the 1970s and it has taken its time to travel to other countries. 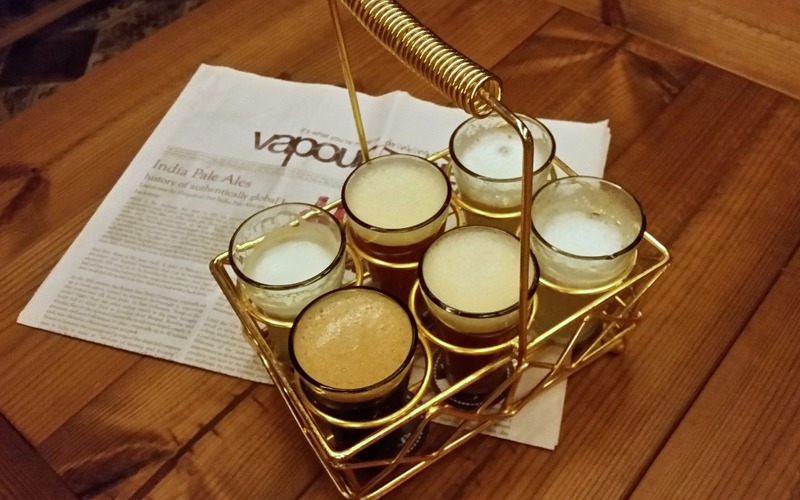 In India, Bengaluru, Pune and Gurugram have been early adopters to the microbrewery culture. 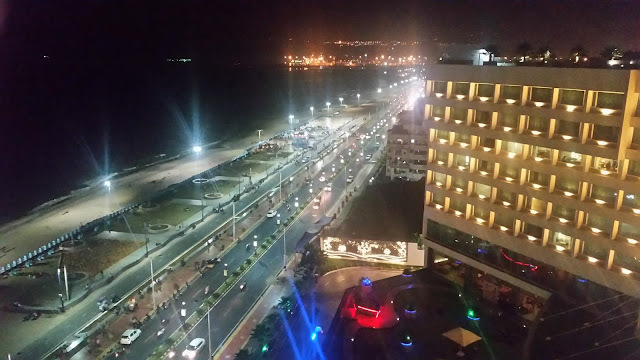 Even about a year back, I remember beer lovers from Hyderabad often taking a pilgrimage to Bangalore – to try out the locally brewed beers there, as the Pearl City did not have any microbrewery at that time. The scene here has changed since then as the state government issued licenses to around 20 entities in 2016, and close to ten of them have already started operations. Apart from the variety of fresh beers often catering to local tastes, other differentiators are the ambience and quality of finger food available at these places. 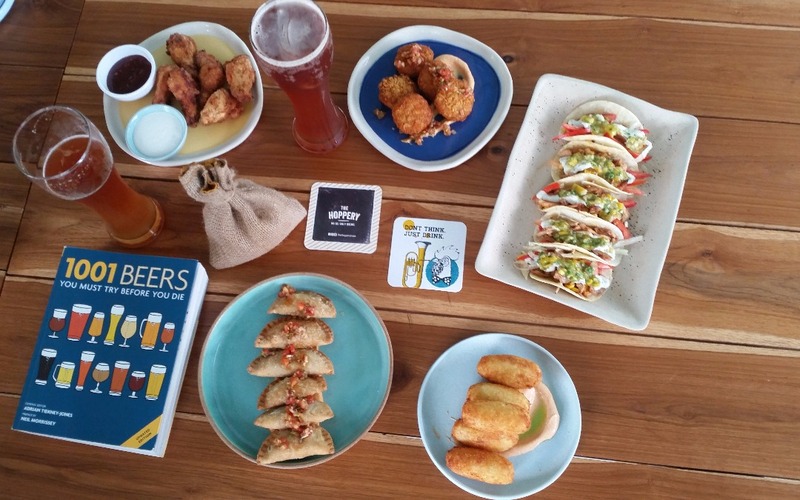 The Hoppery is the latest entrant in this market. This the first microbrewery from the Olive group, which already has a presence in Hyderabad through their signature outlets Olive Bistro and SodaBottleOpenerWala. 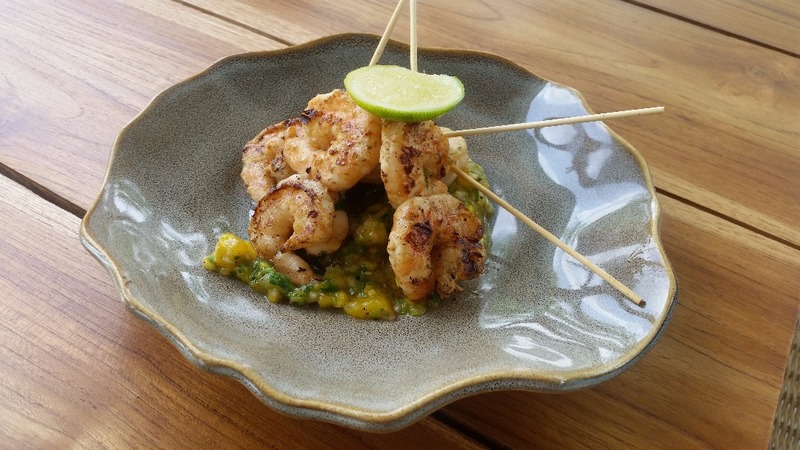 Located next to Olive Bistro near the scenic Durgam Cheruvu, the place has seating inside a glasshouse as well as al-fresco. A windmill adds to the ambience of the place. 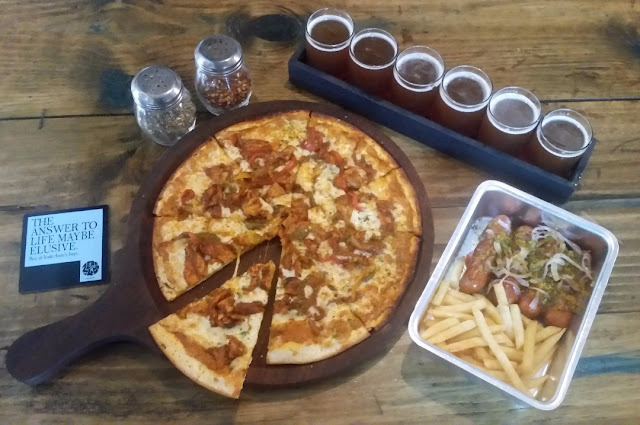 What I liked about this brewpub most is that it has not tried to do too many things at one time, with a compact menu of handpicked drinks and finger food. The Hoppery has four varieties of beer. HopNotch, the Pale Ale (which is less sweet than the ale elsewhere) and White Spice (a mild citrus flavoured witbier) are decent, but my favourite was the “stout”-looking Copperhead, which is actually a dark lager. The fourth variety is Hyderabrew, a tribute to the local taste. They only brew a limited quantity of each variant every day. A handful of cocktails has also been designed around these beers. The Cure, a concoction of Kahlua, Hopscotch Beer and white rum has a distinct coffee taste. Hop Skip and Jump, a scotch, beer and ginger juice cocktail scores too on taste. Secret Sundowner seems to be quite popular, the raspberry popsicle is served here is doused in white rum and HopNotch beer. 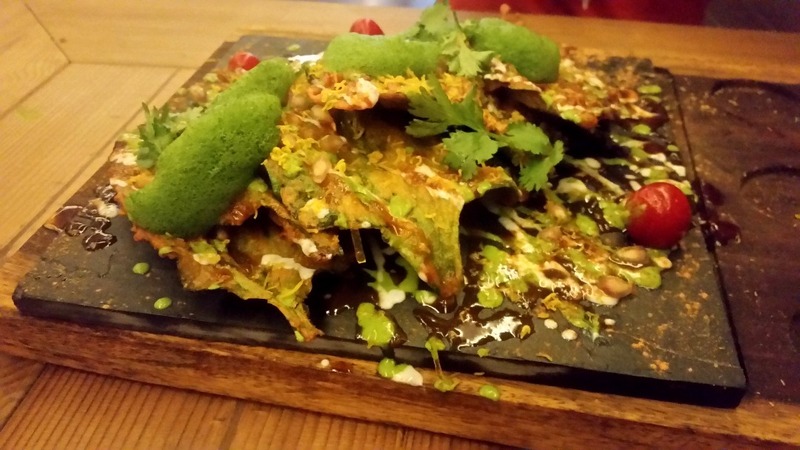 One highlight of The Hoppery is its food, which is of the same high standards as the neighbouring Olive Bistro. They only have a dozen or so food items on their menu, but almost all the dishes score on taste. 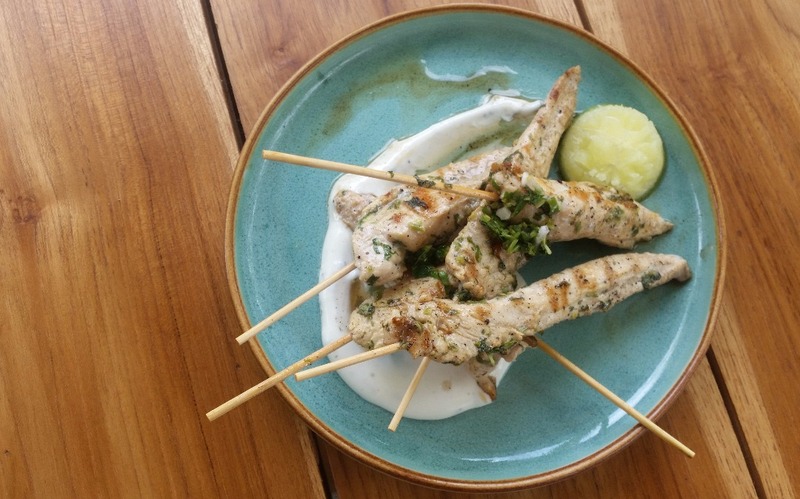 Of these Coriander-Lime Chicken Tenders has a distinct flavour, whereas the Grilled Shrimps is the perfect short eat to go with the brews. Olive is one place that does its pork dishes well, and the Dry-Fried Pork Tender Ribs at The Hoppery are no exception. Vegetarians will find the Pumpkin and Goat Cheese Empanadas interesting. 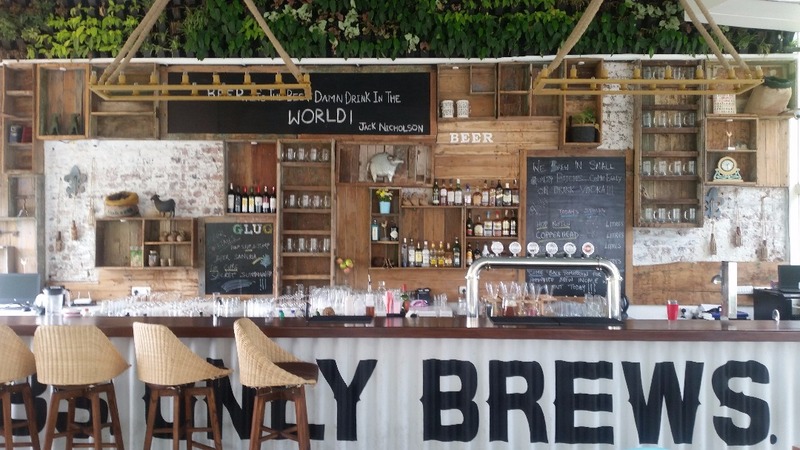 Zero40 Brewing has started at the place of the erstwhile restaurant Bombay Duck Company on Road No 10, Jubilee Hills. 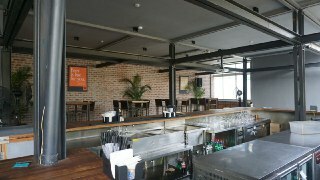 The brewpub, named after the STD code of Hyderabad (040), has three floors with open seating. They have six different brews. Go Swami is a Basmati Rice Helles, the German lager beer which is mild and sweet. I liked their Belgian witbier named Old Timer. Symphony No 40, their Marzen (a type of German beer which was originally brewed only in March) seemed to be popular with my friends. They also have a dark porter (Shavasan), Indian red ale (The Ex) and a wheat beer (The Blue Camel) in their portfolio. Zero40 also has a few beer cocktails with attractive names – Tiny Tiny Bikini (Old Timer beer with tequila and fruit juice) and Salt of the Earth (The Ex with vodka and watermelon chunks). The food menu here is huge running to over eight pages. 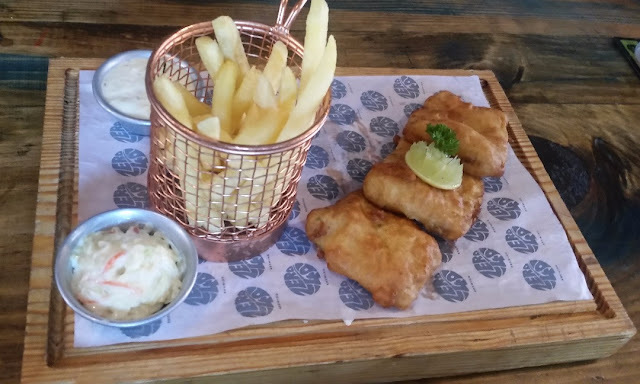 At a pairing session where they presented their signature finger food paired with the beers, I enjoyed their Beer Batter Fish with Chips. 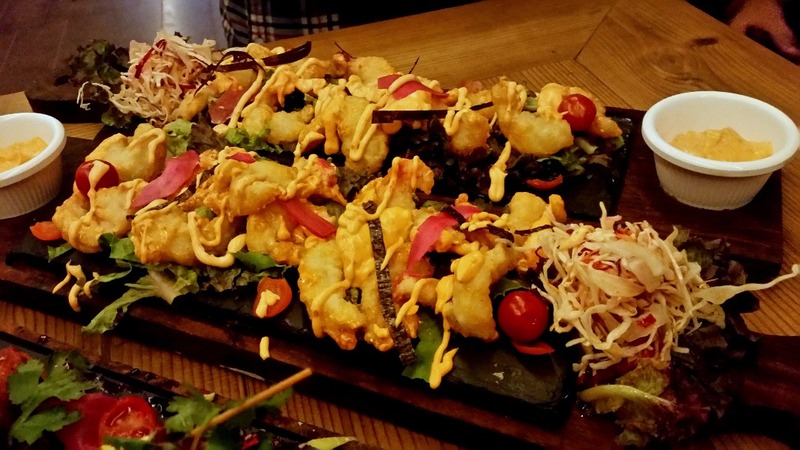 The other interesting dishes were Butter Garlic Prawns, the sweetish Jack Daniel Chicken Wings, Fried Chicken on Waffles. While their pork offering Oktoberfest Currywurst disappointed, a dish I definitely want to try next time is Beef Bulgogi. For the vegetarians, Hara Bhara Kababs, Beet Orange Salad and Honey Balsamic Cottage Cheese hold promise. 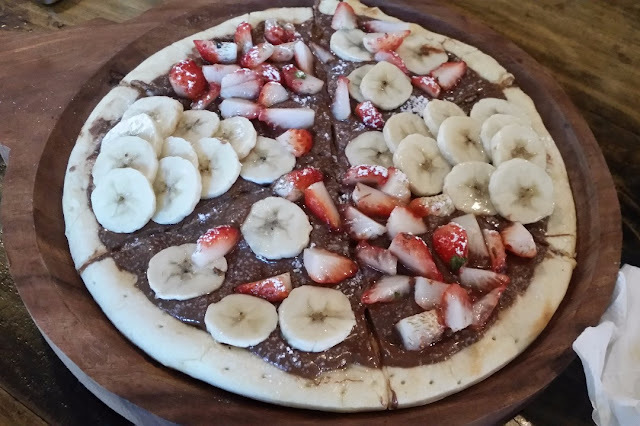 They also have an exclusive Nutella Pizza with chocolate hazelnut and fresh fruit spread which is quite popular here. Vapour is a popular microbrewery in Bangalore which has set up a large facility just off Road No 36 Jubilee Hills. The brewpub has about 450 covers spread over three floors. The top floor is a terrace garden. 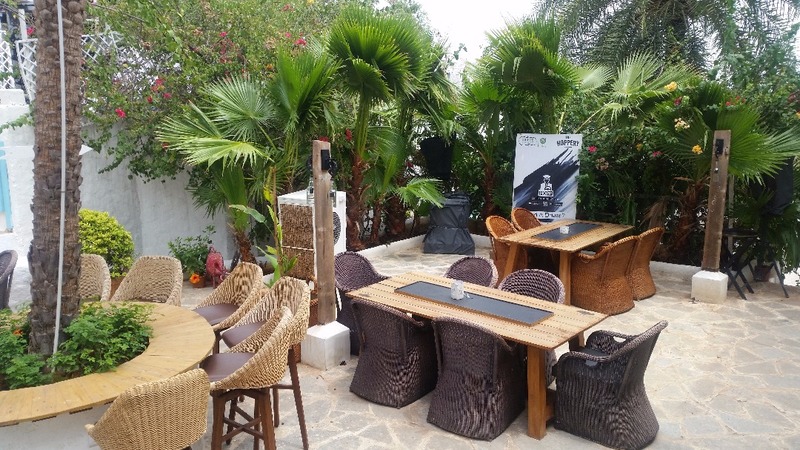 Overall the place is very spacious and swanky with comfortable seating. Their menu is fashioned like a newspaper. They have about six varieties of beer including American Lager, Apple Cider, and Belgian Witbier. The Blonde is one of the best stouts in town. The Wheat and IPA were just decent. However, their Mango Mint almost tasted like a soft drink. They have a good range of cocktails on their menu, though I missed the beer infused ones. 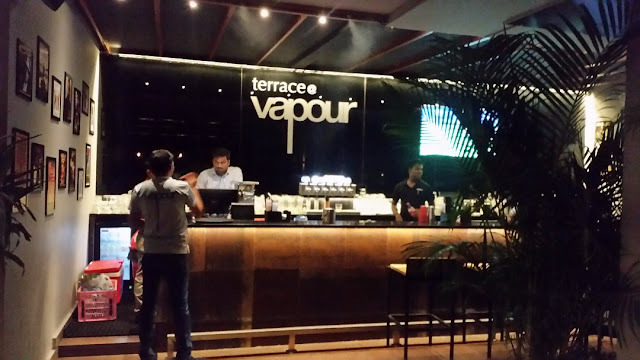 Vapour also has quite a large food menu. 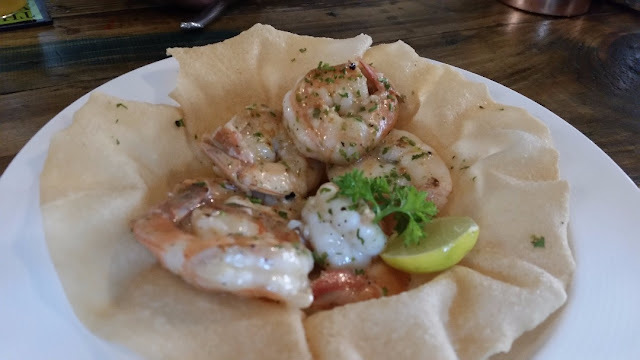 Chili Garlic Tempura Prawns is a must try here, large prawns fried in a batter and served with a nice dip and Japanese gari. Mutton Galautis on parathas were a little salty but otherwise well-prepared with a smooth texture. Kali Mirch Tangri is another dish which will find favour in Hyderabad. Jhalmuri Fried Chicken and Buffalo Wings are the other interesting dishes. Among the vegetarian dishes, Palak Patta Chaat deserves a mention. It is presented in a nice way, with a sweet and sour chutney and mint chutney air. In fact, Vapour uses molecular gastronomy to enhance quite a few of its dishes. Kadi Chawal Burst was another innovative dish. 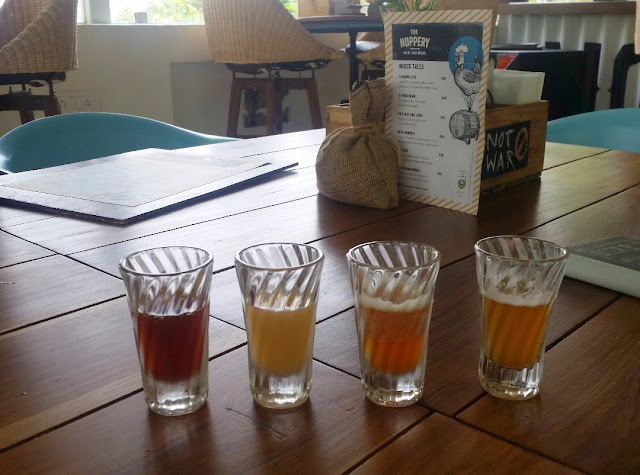 Microbreweries are currently a rage in Hyderabad, and people are flocking to every new one that is opening. However, I feel that there will be a shakeout soon where the rice will be separated from the chaff. So, there is no room for complacency in this sector, and the new outlets will have to continue to do their best in brews, food, and service. Disclaimer: The reviews are based on invites from the restaurants.